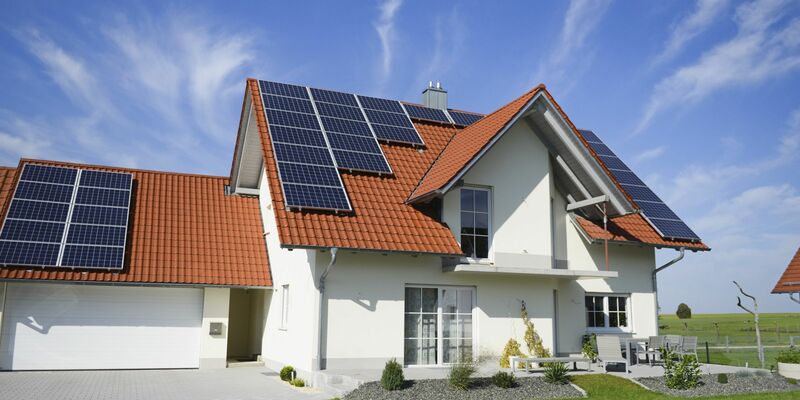 The Solar panels which are used in residential areas are known as residential solar panels. Residential solar panels are becoming more and more popular as the search for alternative or renewable sources expand more and more. Gas prices and electricity charges are going up and up and therefore to save we should go green. Another reason for going green is that solar power systems are becoming more and more affordable. The technology for photovoltaic panels is improving and prices also increase sometimes. Therefore the government sometimes offers incentives and help us in buying solar power systems. Setting up our own residential solar panels is easy and we can thereby help in saving the environment. Setting up the solar system is a one time cost and after that, we could save a lot of money. Sunlight is an abundant natural resource and when harnessed with PV (Photovoltaic) systems, it is a great tool as an alternative to non-renewable energy. When wired together with modular array systems, solar panels allow the custom expandable design to meet the variety of demands of the user like lighting the home, pumping, fan, garden lights, etc. To create the perfect energy efficient solar-powered home, residential solar home kits are available. They’ll have everything you need like panels, cells, inverters, etc. For creating a complete solar power system, we require solar panels, a Photovoltaic system which require a mounting structure to tilt the panel towards the Sun, an inverter to convert DC (Direct current) to AC (Alternate current), batteries to store excess electricity and also to compensate for bad weather conditions, and lastly a charge controller to regulate battery operation. You can also buy residential solar kits from online internet store or from the place where you live. Many kits are available as a DIY (Do it yourself) kits so that anyone can mount this system. So, go ahead to save the environment and go green.